We’ve become used to the GS being a massive part of BMW’s motorcycle line-up, but this model is a little different as it goes back to the original G/S nomenclature. 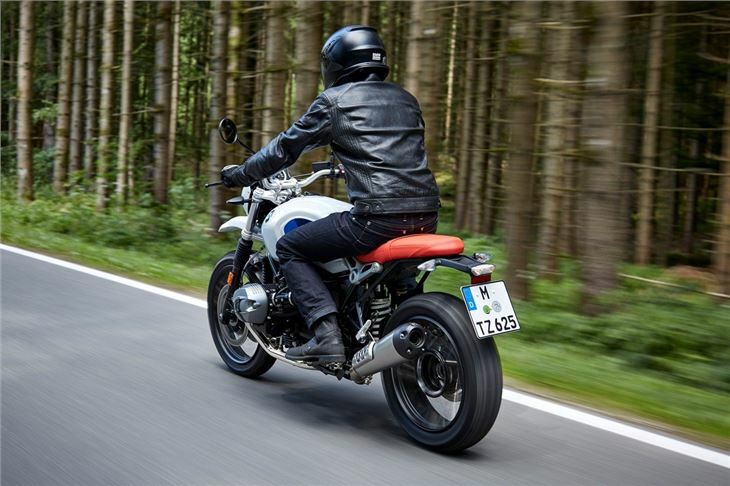 That slash in the title is a throwback to the original Gelande Strasse from 1980, though the R NineT Urban G/S’s styling owe more to the 1987 R100 GS – note the lack of any hyphenation. Then again, let’s not get bogged down in semantics when discussing such an interesting motorcycle. And the G/S is a very intriguing machine. 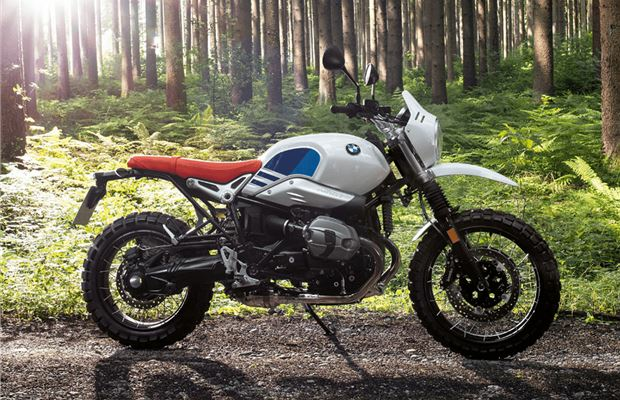 Essentially an R NineT Scrambler with a different seat, exhaust and front fairing, it’s amazing how these small changes have added up to a whole different model. We’d go as far as saying the G/S is the pick of the bunch of the R NineT, which encompasses several highly appealing choices. Some of that appeal comes from the unashamed retro looks of the G/S, which it carries off to perfection. Of course, being a distant descendant of the original, coming from the same BMW stable and using a modern interpretation of the famous ‘Boxer’ twin engine all help the cause. Even so, this is BMW making the very best use of its back catalogue to come up with a successful modern twist. 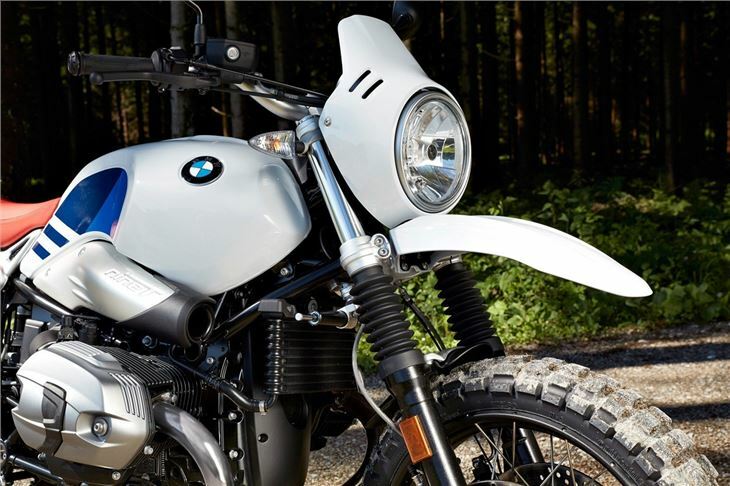 As with all of the R NineT range, the heart of the G/S is the 1170cc air and oil-cooled flat twin engine. Big, simple and unburstable, it’s a lovable lump that still has the bike rocking with torque reaction when you twist the throttle at a standstill. As with so many of the quirks that come with BMW’s bikes, you soon get used to it and on the move this movement isn’t apparent. What is obvious on the move is how much shove there is from tickover right through the mid-range. It allows you ride in a higher gear than you might on other retro bikes. Or, you can make the most of the rev range and six-speed gearbox to make surprisingly rapid progress along back lanes and A-roads. The gear shift isn’t the slickest, but it goes home with a mechanical thunk so you know it’s engaged and the clutch lever is light enough for repeated town use not to be a be a problem. Whether you’re nipping away from the lights in the urban sprawl or on the move in the country, the engine has a deeply pleasing rumble as it spins up. Come off the throttle and there’s also a smile-inducing pop and crackle with the standard exhaust. Making use of the performance is simple courtesy of handling that lets you push harder and lean further than initial impressions might lead you to expect. 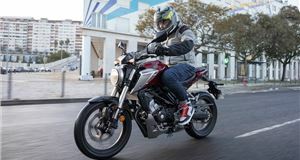 The tyres deliver lots of on-road grip, even when you tick the X option with its knobblier off-road rubber, and the 43mm telescopic front forks offer masses of mid-corner stability. Granted, it’s not the quickest to turn into a curve, but the BMW holds its line with certainty and soaks up all the ruts and dimples thrown at it. The rear end is similarly soft but well controlled, giving an overall impression of a bike that’s ideally suited to all-round use. Our only gripe in this area is the seat is too thinly padded for all-day comfort, so you’ll definitely need a decent break between morning and afternoon stints if you choose to go touring. 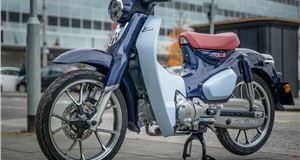 That’s something the G/S is more than able to do thanks to the 110PS from the engine and 55.0mpg combined economy, though the small front fairing and diminutive pillion seat make it more suited to one-up riding. We have no complaints about the brakes that comes with ABS as standard. Plenty of retardation is matched by good, progressive feel at the lever. You also have the wide-set bars to lean on for cornering and manoeuvring the considerable weight of the G/S in town traffic. It’s not intimidatingly weighty, but you are aware this is a big bike. That’s also the case if you choose to try out some off-road work on this BMW. It’s not a full assault mud-plugger, but the chunky tyres of the X model let you take on some green laning and there’s enough ground clearance for this style of riding too. If you want to explore a little further in to the wilds, the G/S X is the model to choose, even if it does add £715 to the bill. 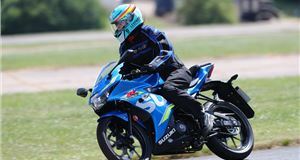 You get those off-road tyres and heated grips, as well as a chromed exhaust and cross-spoke wheels. That’s about the limit of equipment for the G/S. Its dash is a simple round dial with analogue speedo and digital display for the clock. There’s also a spread of optional extras that includes luggage, machined cylinder head covers for a more classic look and an Akrapovic exhaust for a distinctly modern noise. This unadorned, uncluttered approach to the G/S goes a long way to explaining what makes it so appealing. 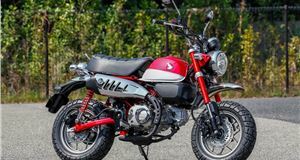 There’s nothing to get in the way of you enjoying this bike and the mechanical package is every bit as engaging and quirky as it was when the first G/S was launched in 1980. Yet this latest BMW R NineT Urban G/S is no throwback, it’s retro styling coupled to the best build quality and engineering you’ll find. The result is all the charm of an old bike with up to date ease of use. The BMW R Nine T Urban G/S is on sale now. Pros Suited to all-round use. ABS as standard. Cons The seat is too thinly padded for all-day comfort. 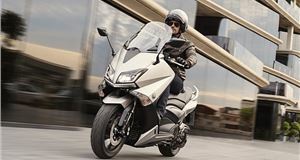 Small front fairing and diminutive pillion seat make it more suited to one-up riding. 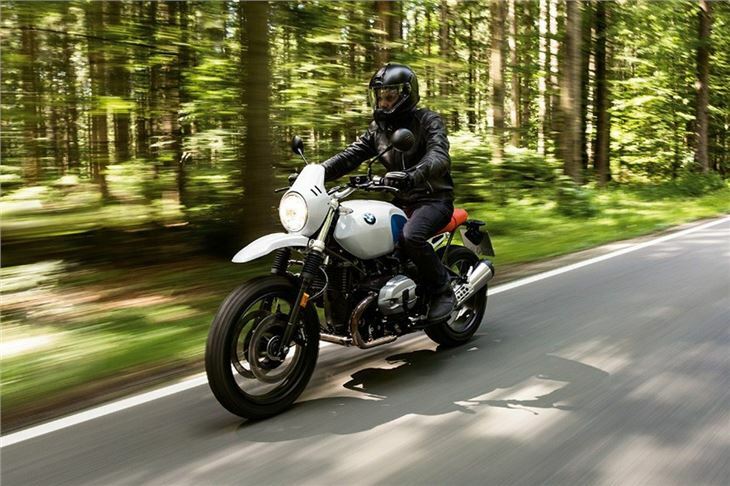 BMW R Nine T Urban G/S: Top speed 130mph (est). Fuel consumption 55.00mpg (est). VED £88.